Our mission is to provide our patients with the most current and up -to- date Endodontic care available. Our facility is surpassed only by our desire to provide superlative patient-centered dental care. Dr. Levin has had 26 years of patient care experience. Her background in teaching and research uniquely qualifies her to aid patients in their health care decisions as it pertains to their Endodontic needs. At Levin Endodontics we strongly believe that everyone should be empowered with the knowledge to make the best decisions for their health care. Our role is to educate the patient regarding their Endodontic status and show them their treatment alternatives. We partner with our patients and their referring Dentists to select and implement the best treatment plan. Our care does not stop there. We monitor all of our patients with routine follow-up exams that are free of charge. We are committed to preserving the natural dentition. 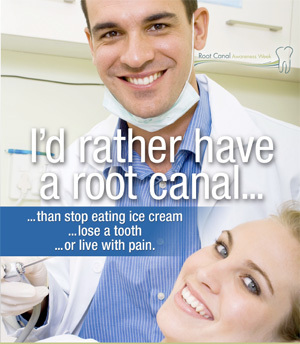 We are Endodontic specialists. This means that we have completed advanced training in root canal therapy and associated procedures. In addition, Dr. Levin is Board Certified - a credential only 20 % of the practicing Endodontists in the country have earned. Our practice houses state of the art equipment which includes dental operating microscopes, digital radiography and Cone Beam Computed Tomography. This new technology allows us to offer the best in dental care with efficiency and expertise.